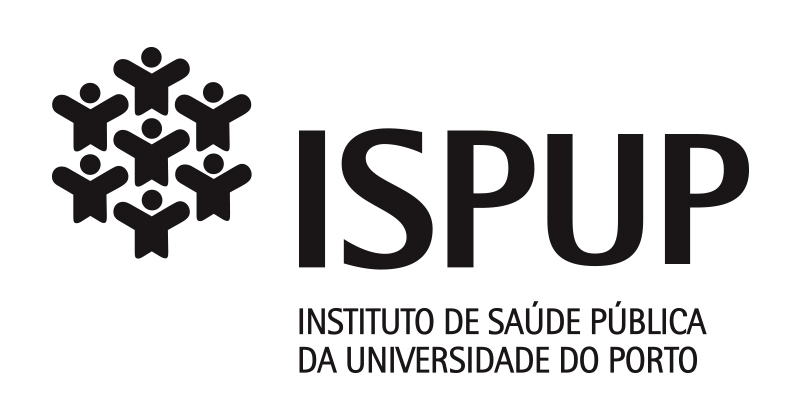 The ISPUP-EPIUnit reflects a long tradition of quantitative research, having more recently extended to other methodological and disciplinary approaches. It is also the result of on-going work to develop and consolidate solid infrastructures for epidemiological and public health research, while engaging for the last two decades epidemiologists, biostatisticians and other public health and clinical professionals. We have managed to assemble and follow-up three large cohorts of the general population that cover three major life periods: a birth cohort (one of the ten largest in Europe), an adolescent cohort and an adult cohort. These cohort structures are unique in Portugal andhavemadeitpossible to address new questions leading us into a more competitive era in epidemiological research. They also allowed us to be partners in multiple international consortia and increasing the interest of researchers from other groups. The participants in these and other cohorts, as well as samples of subjects recruited at the national level in primary health care, have contributed thousands of biological samples that resulted in a formal biobank which has been instrumental to our research, allowing us to share data with international research groups particularly in the nutritional, environmental and perinatal research areas. The Laboratory of Occupational Health is a modern facility established in 2011 that constituted an integrated infrastructure supporting research and technological development, while offering a wide range of laboratory services to the industry and community. It promotes occupational safety and hygiene, using the most varied and appropriate methodologies to assess working conditions, supported by cutting-edge equipment. Its activity provides guidance for the clinical recognition of environmental and occupational diseases, the identification of sentinel health events, and monitors exposures in working populations in order to prevent and control occupational hazards and their associated diseases and injuries. An excellentanduniquedatabase is being constituted and an occupation related cohort is being assembled. In 2011, we were part of the launch of the Hospital Epidemiology Centre at Centro Hospitalar de São João. For the first time in Portugal, a structure bringing together patient safety, infection control, occupational health and clinical trials was created, which will make clinical epidemiology and clinical big data handling available to our researchers at a more sophisticated level. During the last five years we published 460 papers in peer reviewed journals, 396 papers in international journals and 64 papers in national periodical journals. 150 articles were published in journals with IF >= 3 and 39 in journals with IF >= 5 but with 45% in the upper quartile of the respective area. In addition, 22 books or book chapters were published by Unit members. During this five-year period, 17 PhD theses were completed under the supervision of Unit integrated members, as well as 111 completed Master theses based on original research in Public Heath, Epidemiology, Sociology and Health Education. We succeeded to raise research funding and guarantee an increasingly diverse number of funding sources. During 2008-2012, our Unit members were involved in 18 international projects with European funding (30% of the total amount of funded projects): Framework Program 7 (MOMI - Missed Opportunities in Maternal and Infant Health: reducing maternal and newborn mortality and morbidity in the year after childbirth through combined facility and community-based interventions, EPICE - Effective Perinatal Intensive Care in Europe: translating knowledge into evidence based practice HabEat - Determining factors and critical periods in food Habit formation and breaking in Early childhood: a multidisciplinary approach), Executive Agency for Health and Consumers (PROMO - Best practice in promoting mental health in socially marginalized people in Europe, EUGATE- Best Practice in Health Services for Immigrants in Europe, ABUEL - Elder Abuse: A multinational prevalence survey, DOVE-Domestic violence against women/men in Europe: prevalence, determinants, effects and policies/practices, EURO-PERISTAT III - Better statistics for better health for pregnant women and their babies: European health report, EURHOBOP- European Hospital Benchmarking By Outcomes In Acute Coronary Syndrome Processes), European Center for Disease Prevention and Control (Assessment of HIV testing in Europe: from policy to effectiveness) or under other European Union framework programs (METRIS, COST Actions), European Food Safety Authority (Support to national dietary surveys in compliance with the EFSA Guidance on General principles for the collection of national food consumption data in the view of a pan-European dietary survey), and the European Comet assay Validation Group (Assessment and reduction of comet assay variation in relation to DNA damage and DNA repair phenotype) that aims to standardize the comet assay protocol. From 2008 to 2012, we were responsible for the organization of 40 post-graduate courses in the specialization areas of Epidemiology, Statistics and Public Health. We were also responsible for organizing 116 Seminars in Public Health, which aimed to discuss timely relevant subjects to Public Health, particularly epidemiology, with invited specialists from a variety of institutions; half of those Seminars were presented by international lecturers. Finally, we were responsible for the organization of eight working group meetings integrated in European research projects. Additionally, during the same five-years period, we obtained funding from the Science and Technology Foundation (FCT) for 27 national projects. The Calouste Gulbenkian Foundation provided competitive funding for two other projects and supported an important fraction of the costs incurred by the birth cohort.